Yesterday I shared the fall version of my Interchangeable Book Page Wreath. In the center I used a layered paper flowers. 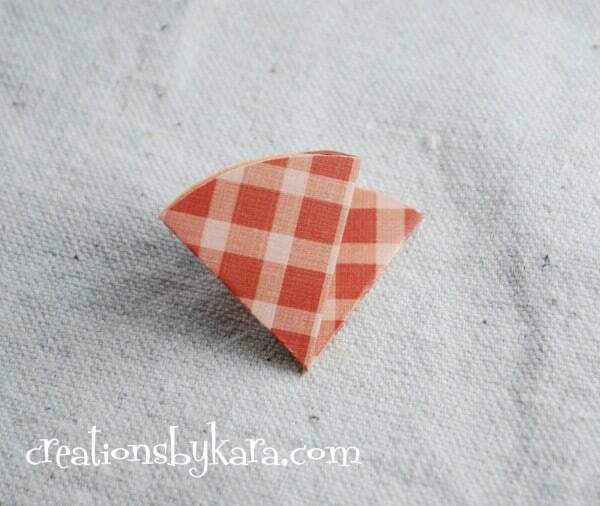 I have also made these out of fabric, but I wanted to share the instructions for the paper variety for those of you who are interested. They can be used on wreaths or banners, glued inside frames, or to embellish gifts. They are easy to make and so versatile! 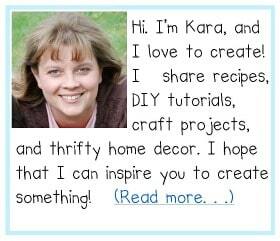 If you’ve never made them before, I hope you’ll give them a try! 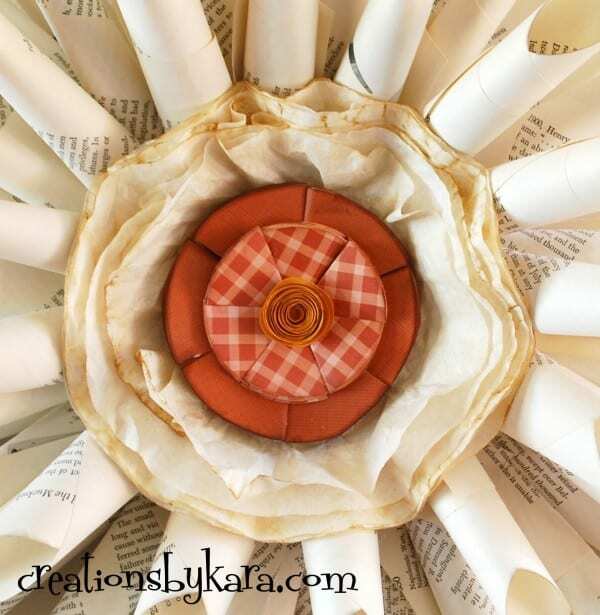 1-For each layer of the flower, cut six circles to make the petals. The size of the circles will be the size of the actual flower. For the flower in this tutorial, my bottom layer was about 4″ across, and my top layer was just under 3 1/2″ across. It is easiest to work with lightweight paper, but cardstock will also work. 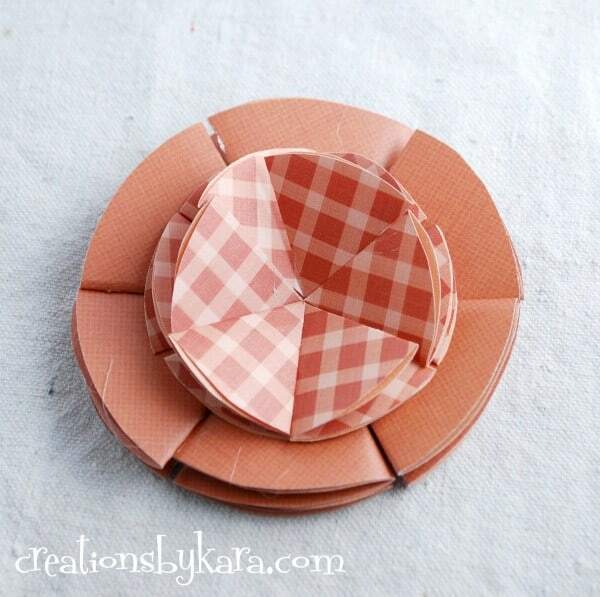 2-Fold each of the circles in half. 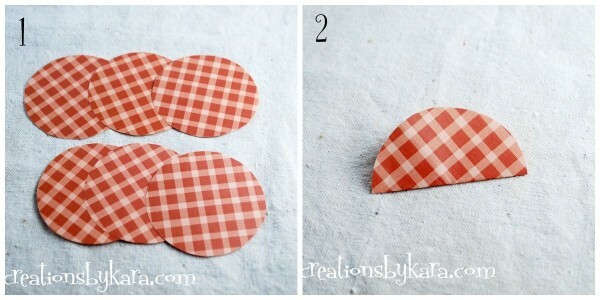 3-Now you need to fold each half circle into thirds. 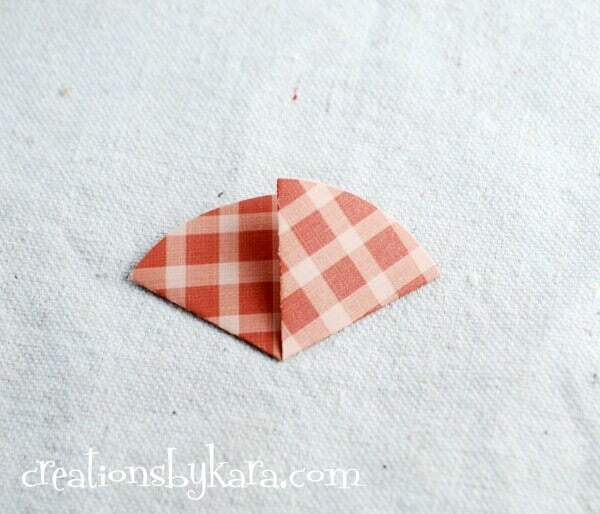 Fold the right third of the paper over to the front and make a crease. 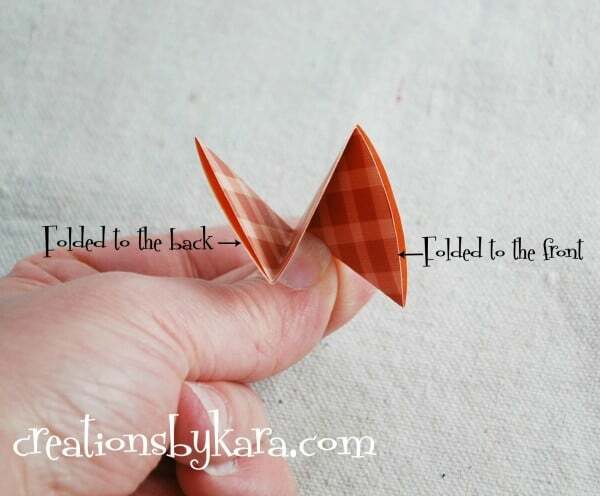 4-Take the left third and fold it to the back and make a crease. I took a photo from the top so you can see the folds easier. 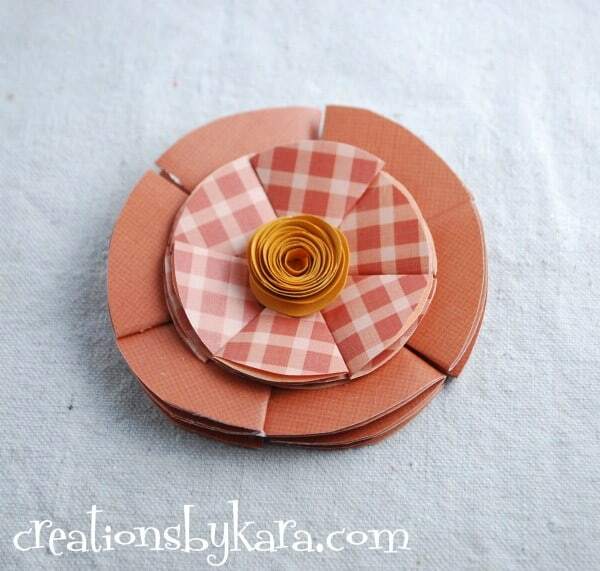 5-To assemble the flowers, cut a circle out of a piece of sturdy cardstock or cardboard. Hot glue each of the petals onto the circle with the points in the center of the cardstock. 6-Repeat the process for the top layer of petals. 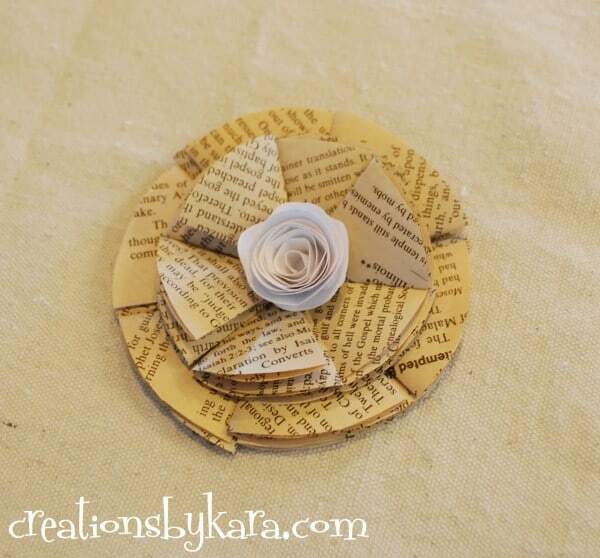 7-Attach a Rolled Paper Rose to the center of the flower with hot glue, or any other embellishment you like. For extra dimension, you can ink the edges of the flower with a rubber stamp ink pad. Here’s mine in the center of my Fall Book Page Wreath. I have also made some out of book pages, and they are pretty too, doncha think? Really, that one with book page is amazing, looking vintage or something like that. You’re creative and can make beatiful things, thanks for post, it’s very interesting! So pretty! I love that book page wreath.